Posted By:Unknown | At:7:09 AM Be the first to comment! Super Bowl champion Richard Sherman took to Sport's Illustrated The Monday Morning Quarterback to write a very thought provoking article on what he perceives to be media persecution of DeSean Jackson. I grew up in Watts, and I played baseball with DeSean in elementary school on a team coached by his father near Inglewood. His father, Bill, picked me up from elementary school 30 minutes away from his home for practice and games because my parents both worked and didn’t finish until later, and I wanted to play baseball with some childhood friends. Bill was a great coach, and a great man. He died of pancreatic cancer in 2009, the summer after his son’s rookie season. 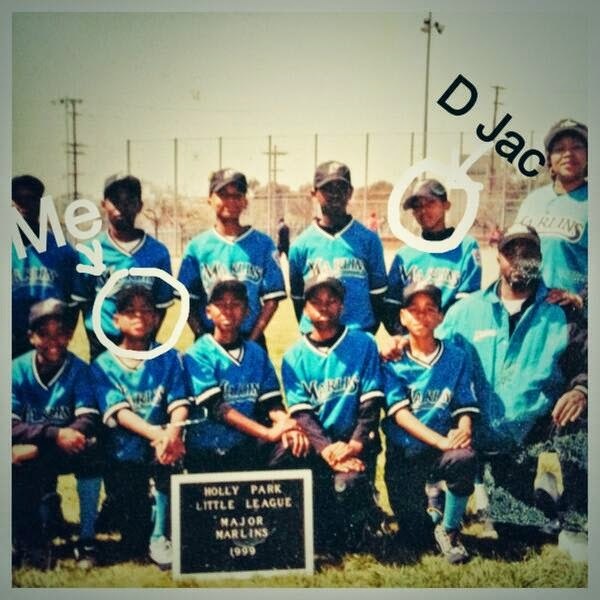 DeSean and I didn’t hang out then like we did as kids. Those men with DeSean in the social pictures and the police reports weren’t his closest friends in childhood, but when his father died and few people were there for him, they were there. When a tragic event like that happens, the people who are around are the people who are around, and they were there for him. Was DeSean supposed to then say, “Thanks guys, but now that I’m a millionaire, please leave me alone”? Even if he wanted to, he wouldn’t have. In desperate times for people who come from desperate communities, your friends become your family. I wouldn’t expect DeSean to “distance himself” from anybody, as so many people suggest pro athletes ought to do despite having no understanding of what that means. Going to college and playing in the NFL creates a natural distance, but we can’t push people away just because they’re not as successful as us. I can’t change who I grew up with, but what I can do is try to educate them on the right way of doing things, help them when they need it, and try to keep them out of trouble. There is, of course, a tipping point. There have been times when I realized that someone can’t be helped, because they continue doing the wrong things. Typically, the only time I cut someone off is when they’re in jail, because I can’t help them there. And if they’re accused of a crime, as DeSean’s friends have been, should that reflect poorly on me? Consider that for every several guys I try to help who end up dead or in jail, there’s another person I was able to rescue from a similar end. Should I give up on everybody out of fear of being dirtied by the media? Sorry, but I was born in this dirt. This offseason they re-signed a player who was caught on video screaming, “I will fight every n—– here.” He was representing the Philadelphia Eagles when he said it, because, of course, everything we do is reflective of the organization. But what did they do to Riley Cooper, who, if he’s not a racist, at least has “ties” to racist activity? They fined him and sent him to counseling. No suspension necessary for Cooper and no punishment from the NFL, despite its new interest in policing our use of the N-word on the field. Riley instead got a few days off from training camp and a nice contract in the offseason, too. Maybe it's just me, but I wish more professional athletes would speak out about what's really going on in the NFL. I realize that everyone isn't as eloquent as Richard Sherman, but it would be nice if more established players took a stand and discussed some of the obvious differential treatment that is meted out in the League. I realize this could affect some people's money, but someone like Terrell Suggs has never let that stop him from speaking out.